Winter is coming. Make sure your car is ready for whatever the season brings with these 4 helpful tips. For a better grip on the road, you would be well advised to put snow tires on your car, especially if it doesn’t have four wheel drive. Snow tires provide added traction. Your gas mileage may suffer a bit, but the added peace of mind will give you confidence to drive regardless of how dangerous the conditions become. They’re really cheap, but they’ll make all the difference in the world on those extra snowy days when your windshield is absolutely covered. If you forget or don’t have a scraper, an old credit card works surprisingly well to cut right under snow and frost. To avoid having to scrape your windshield all together, you might consider covering it with an old sheet. A fitted sheet can stretch nicely around your rearview mirrors, or you can roll your windows up to pinch the sheet in place. There’s nothing worse than being stranded in a winter wasteland with nothing to sustain yourself or keep warm. And emergencies and accidents are more common in the winter months because of the hazardous road conditions, so it’s even more critical to be prepared. DMV.org also recommends a flashlight, an extra ice scraper and brush, a small shovel, an extra container of coolant, snacks, and a bag of sand or kitty litter for traction if your tires get stuck in the snow. 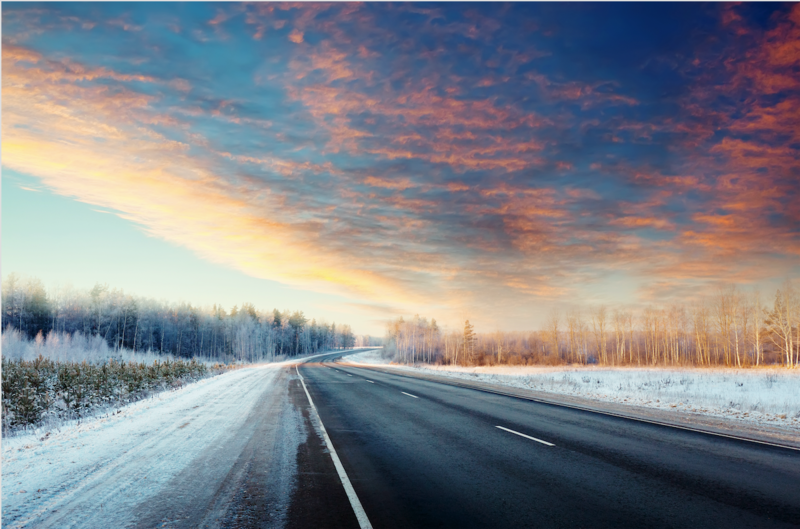 Make sure your coolant, oil, and wiper fluid are all at proper levels and ready for the winter. It’s especially critical to make sure that your coolant has the right mixture of antifreeze and water to prevent freezing. You may consider getting a thinner oil if you live in below freezing temperatures, but consult your owner’s manual or mechanic first. Don’t forget to grab some freeze-resistant wiper fluid.